ClubxB News and Announcements Find out the latest news & updates about ClubxB here. 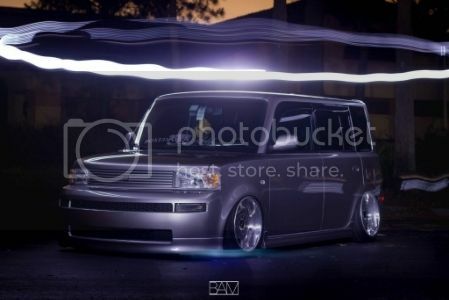 Scion xB Forum > Forum Help Center > ClubxB News and Announcements > Hey Everbody. What do you think of these logos? Re: Hey Everbody. What do you think of these logos? This is an old post but I was thinking about this today. the orange and blue scheme looks so much better and is much easier to look at. I hate being "that guy" but honestly the site is looking a little unprofessional with the mix matched color scheme IMHO. I know its a lot to change but it could be done over time, 1 section at a time. maybe someone could start a poll to get the opinions of all the other users. Click Here to Check Out My Build Thread! I second the motion. The site looks pretty ratchet with this mix going on. Also, it seems like the new rules (100 posts for a classifieds thread, 30 for pictures, etc etc.) aren't enforced like they were. It seemed to be automatic before, did something change? OMG....Going through my Scion box with all the goodies I have gotten over the years I found some of these stickers !! !